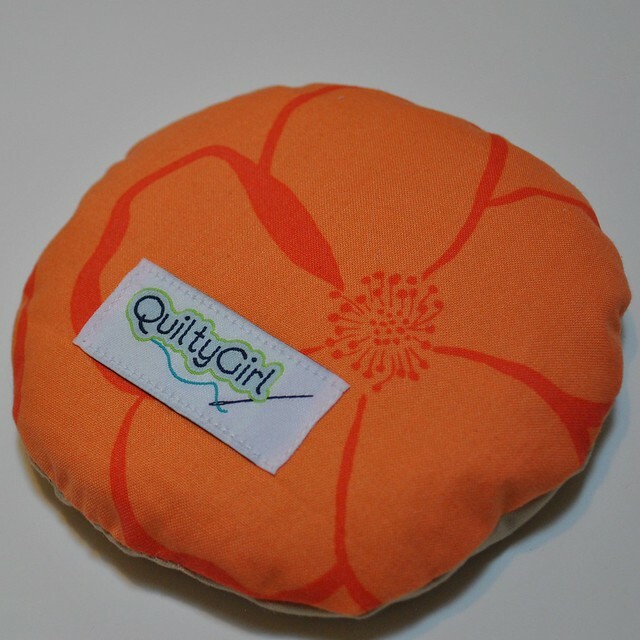 My lqs has this very fun round, flat-ish pin cushion that I admire each time I'm having fabric cut. 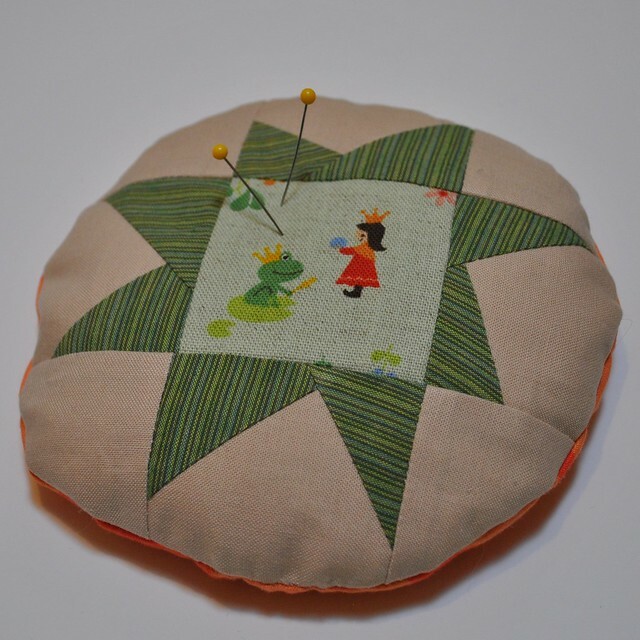 Their pin cushion is probably about 6" in diameter with a grandma's flower garden pattern appliqued on top. I've never reached out and touched it, but I'm guessing that it's full of sand. I have wanted to make a similar pin cushion for awhile, so I whipped up a few in time for Christmas - one for me and 3 for friends! 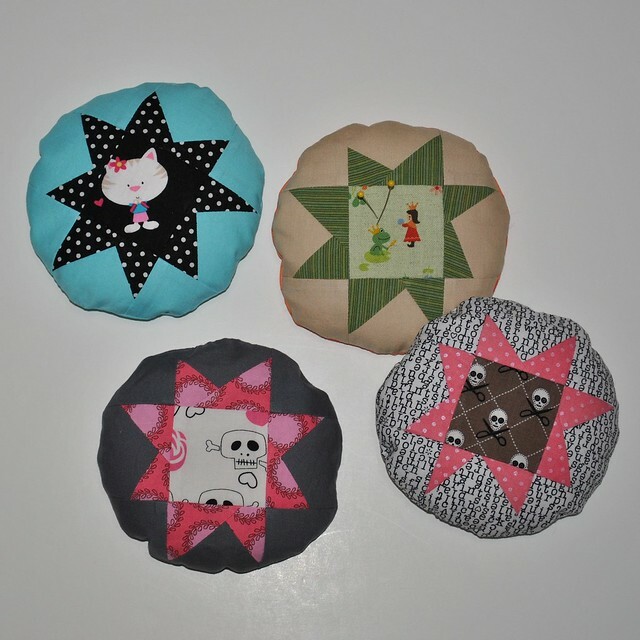 I'm on a bit of a wonky star kick (more about that in another post), and I thought they would be the perfect piecing for a round pin cushion. These are the first pin cushions that I have stuffed with crushed walnut shells, and I really like the resulting weight and feel. Good thing, since I have a huge bag of walnut shells to use up! In case you're looking to make something similar, I started with 2.5" squares to piece the stars. To create the circles, I simply traced around the base of a cylindrical vase. 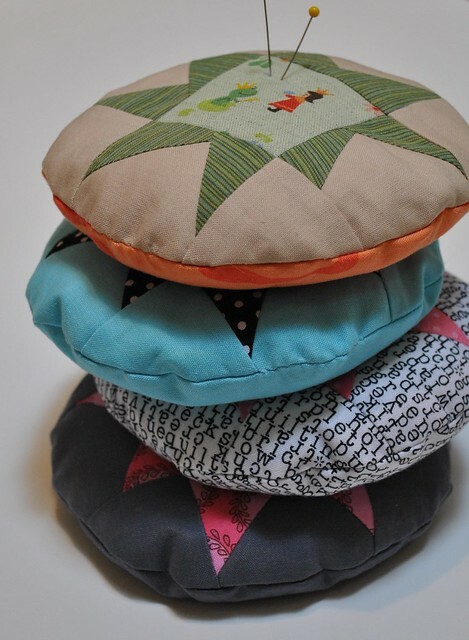 My circles ended up about 5" in diameter after stitching the pin cushion together. I was worried about the tiny bits of walnut shell making their way out of the pin cushion, so I added a layer of muslin on both the top and bottom. It took me just a few minutes to make each of these, and I love how they turned out!